At Girling Law, we understand the challenges that come with owning property. While property ownership can be lucrative, you need to protect your interests. It is therefore crucial that you hire an experienced Hood landlord lawyer who can defend your rights. A lease agreement is a legal document used to outline the terms, conditions, and rights that will bind the parties. While Texas law allows lease agreements to be either verbal or written, you should put your agreement in writing. Having a written document gives you the opportunity to detail the obligations of each party. In contrast, verbal contracts are much more likely to cause disputes between the parties. What Should You Include in a Lease? Texas property laws protect the interests of the tenants, including their right to privacy. Consequently, your right to enter the property as a landlord becomes severely restricted when the tenant begins their lease. While Texas law does not specify how far in advance a landlord is required to provide notice before entering a leased property, we advise that you give the tenant at least twenty-four hours. A lease can also identify circumstances where the landlord may legally enter the property. For example, the lease may permit entry when repairs need to be made or to allow a potential tenant to view the property. A Hood landlord lawyer can help you draft a lease that gives you as much access to your property as is permitted by the law. At Girling Law, we advise landlords not to enter the leased property unless expressly permitted by the terms of the agreement. If you unlawfully enter the property, you risk exposure to civil liability. This may subsequently give the tenant grounds to terminate the lease. Texas law provides landlords with the right to establish the amount of a security deposit and decide where to hold that money. However, the law also mandates that landlords return their tenant’s security deposits within thirty-days after the lease ends. In certain situations, a landlord is allowed to deduct funds from the tenant’s security deposit. For example, a landlord may deduct any unpaid rent or the costs for repairs that exceed normal wear and tear. If you use a portion of the tenant’s security deposit to pay for repairs, make sure to keep meticulous records, including pictures and receipts. Where a landlord intentionally fails to return the security deposit, the tenant can sue to obtain three times the value of the deposit in addition to any attorney’s fees and costs. A Hood landlord can help you defend against these types of claims and limit your potential liability. Although it depends on the terms of the lease, a landlord is typically responsible for making repairs. When a landlord refuses to make repairs, the tenant can do so on their own and deduct any costs from their rent. 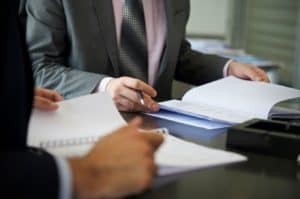 If a dispute over damages or repairs leads to litigation, we are prepared to aggressively defend your interests. If the landlord is trying to evict a tenant for unpaid rent, Texas law requires that they give the tenant at least three days before filing an eviction in court (unless the lease provides otherwise). Our Hood landlord lawyer is familiar with these rules and can help ensure that you comply with the law. Depending on the situation, you might find yourself in court. At Girling Law, we use a variety of litigation strategies to help you reach your desired outcome. Call Girling Law today at (817) 864-2018 to discuss how a Hood landlord lawyer can help.